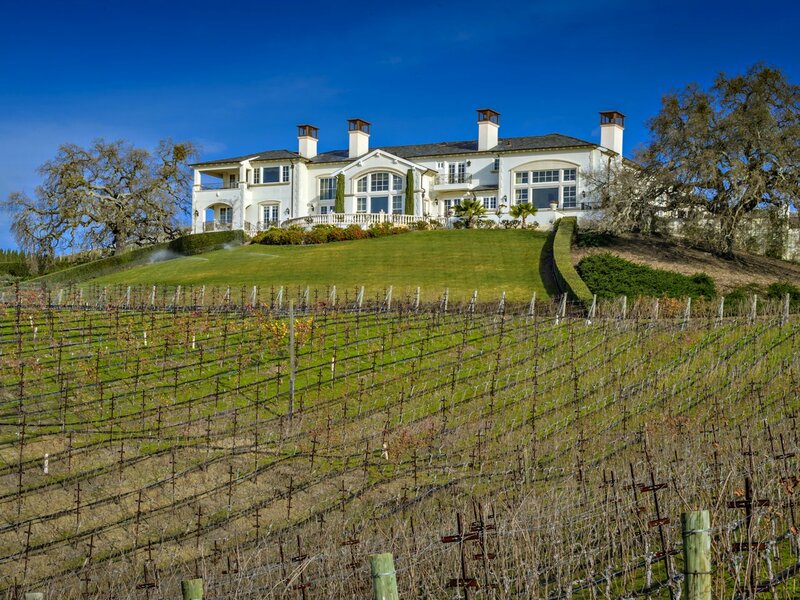 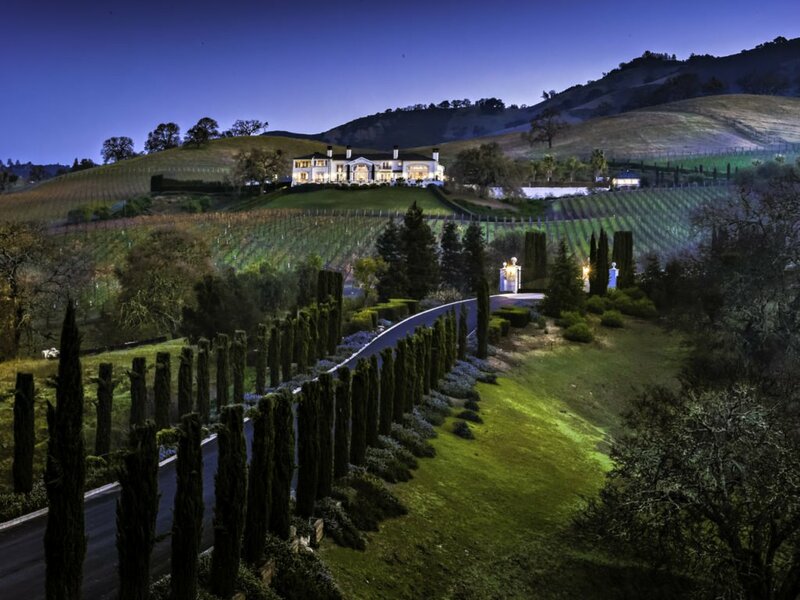 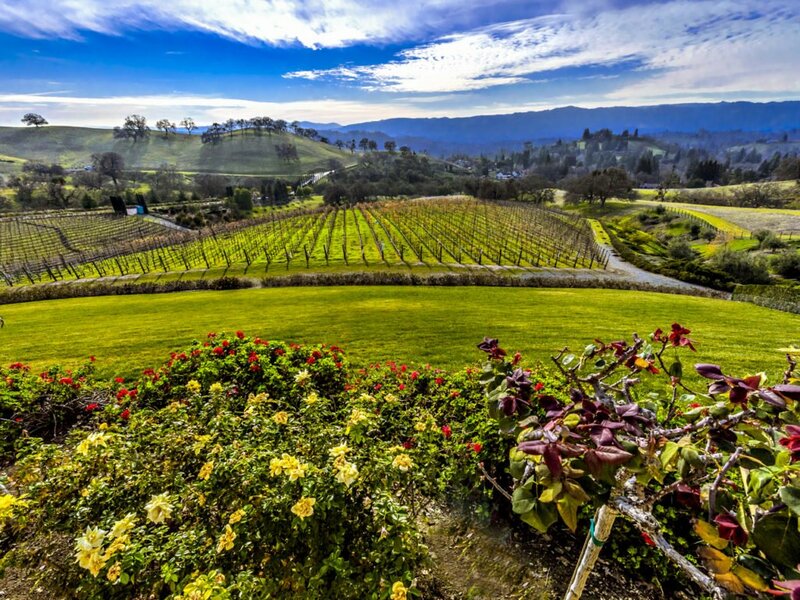 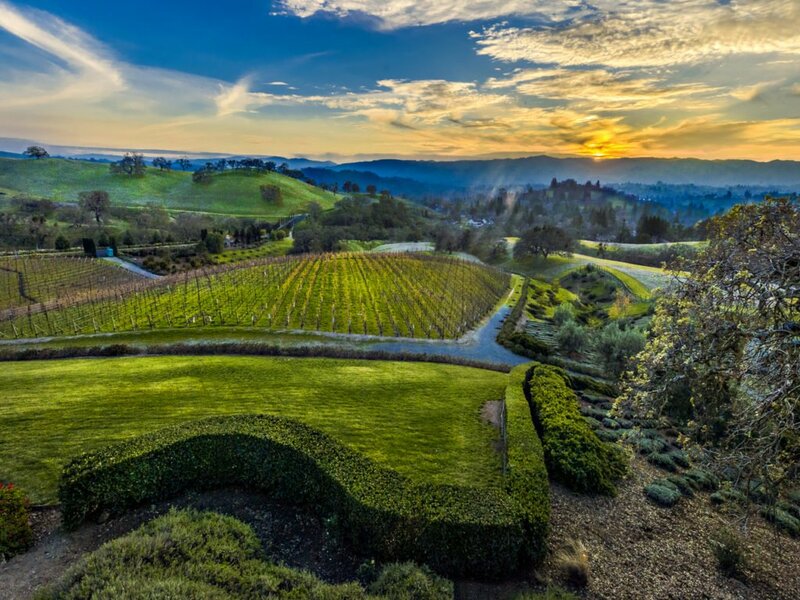 A gorgeous vineyard estate set amidst 101 acres of rolling hills of East Bay Vineyard. 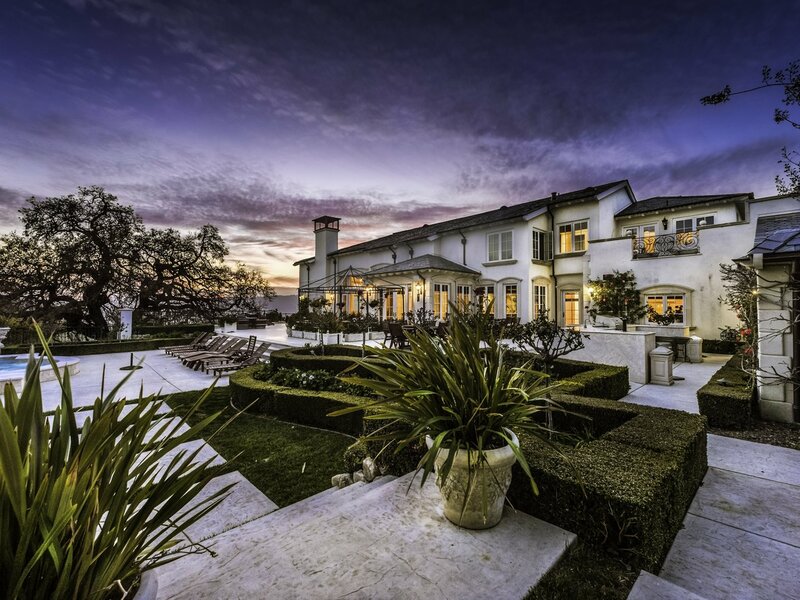 All outbuildings total 26,739 sq. 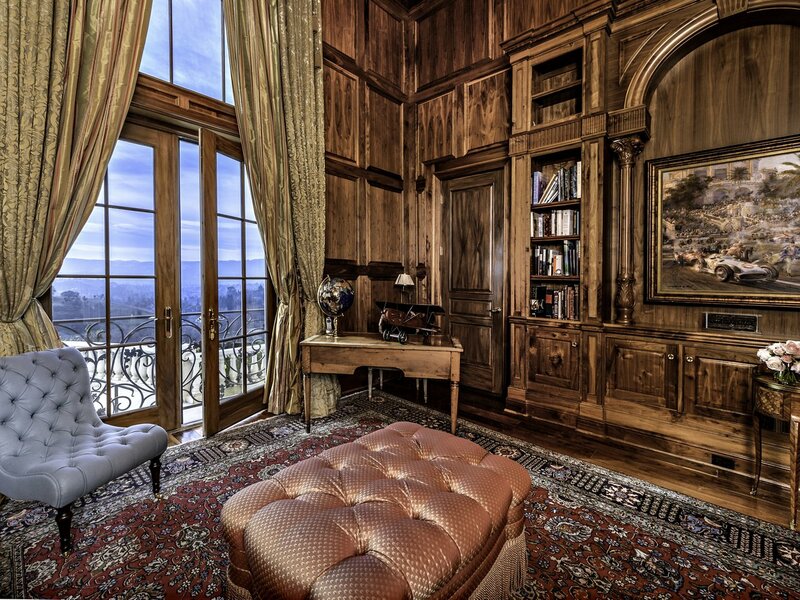 ft., including the 10,000 sq. 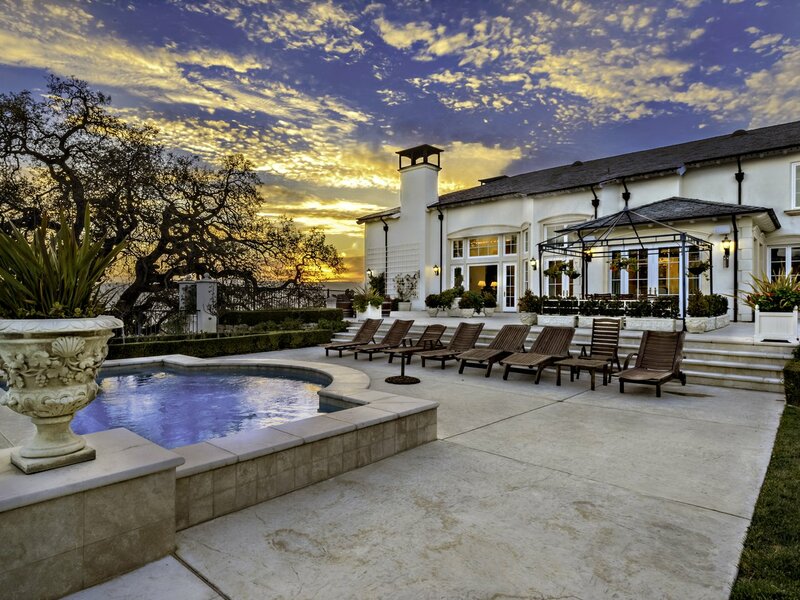 ft. main house, a showcase car barn, 1 bedroom guesthouse and pool house. 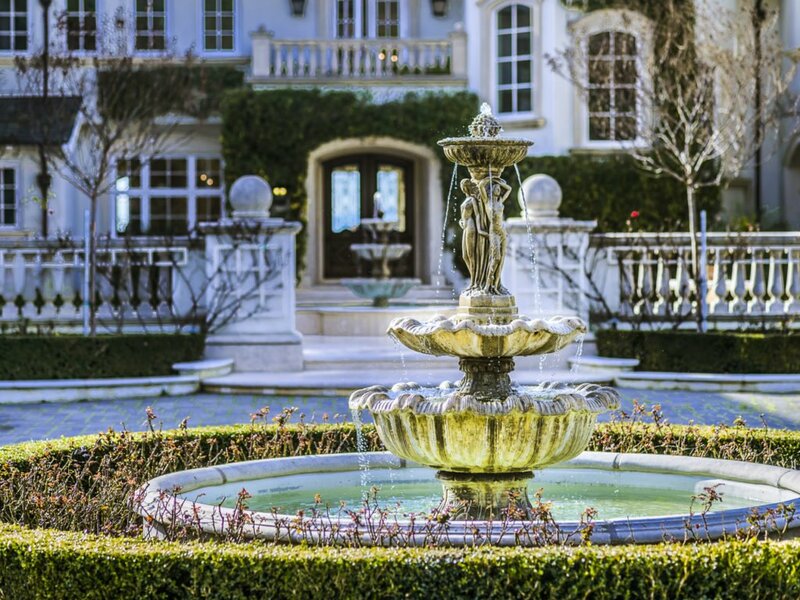 Featuring imported limestone fireplaces, crystal chandeliers, an elevator, and a custom pool with elevated spa waterfall. 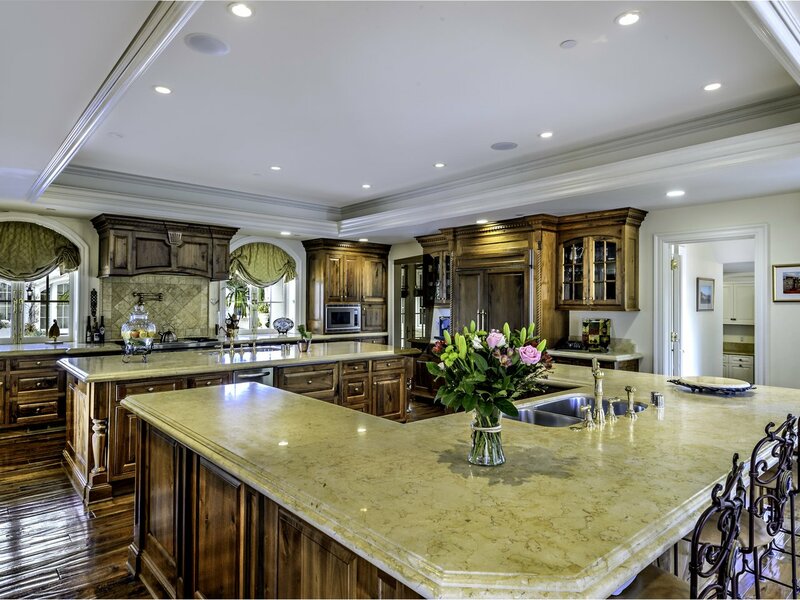 The gourmet kitchen with island is complete with Butler’s pantries and Dacor oven with range. 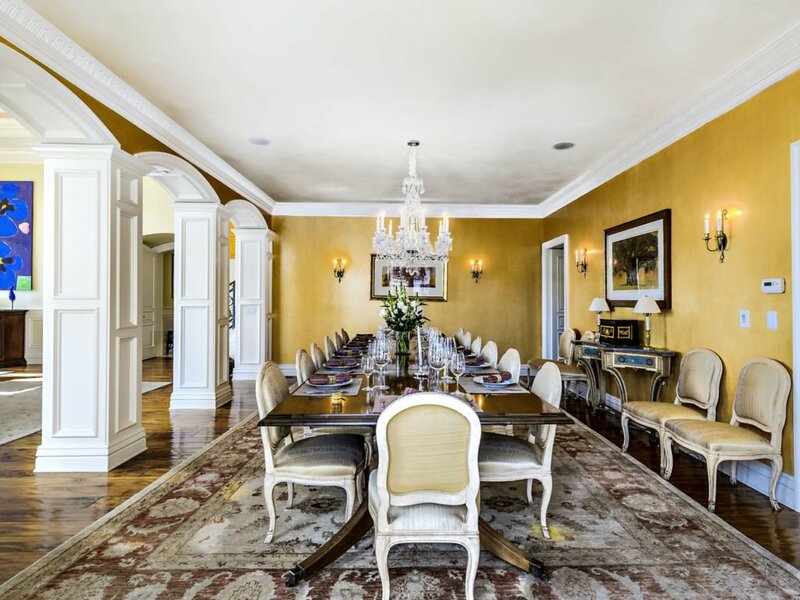 Host large parties in the banquet size formal dining room. 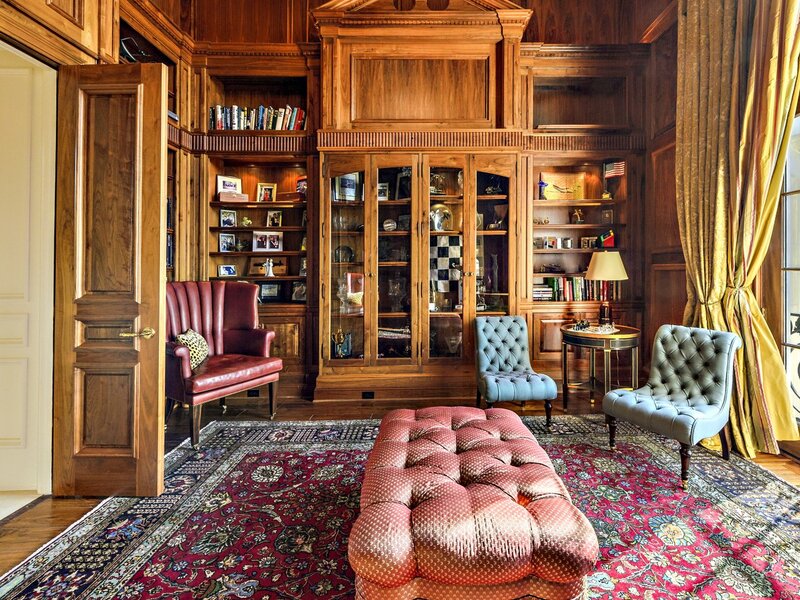 An exceptional 748 sq. 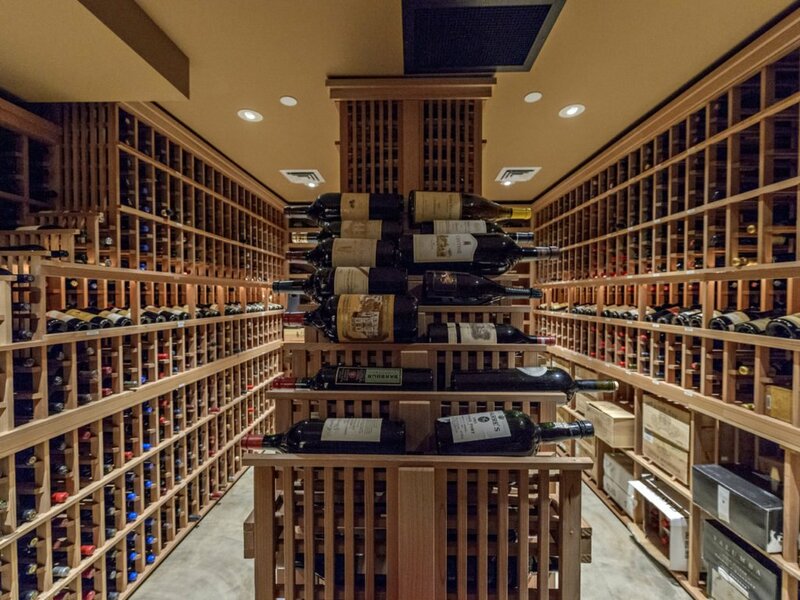 ft. wine cellar features a dining area, dumb waiter, wet bar, half-bath and custom temperature controlled wine storage room for 5,000 bottles. 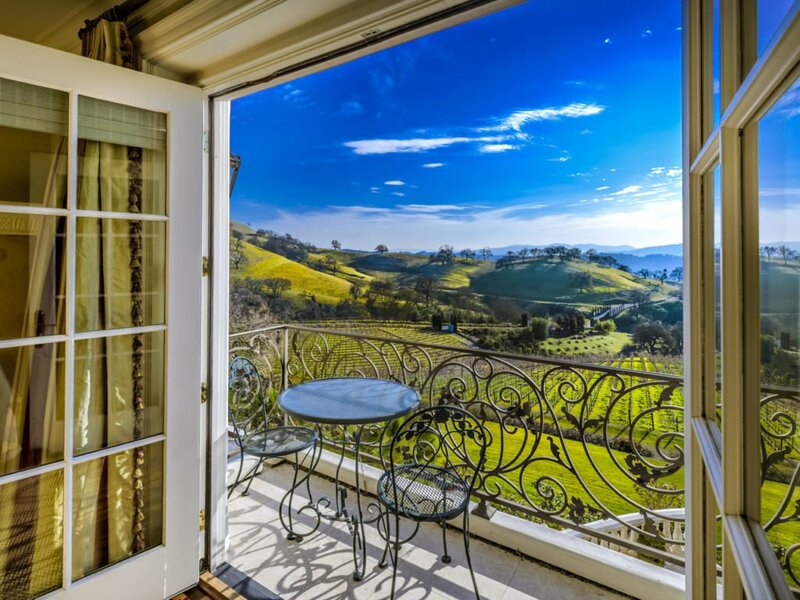 Numerous balconies and decks offer stunning panoramic vistas of the vineyards, Las Trampas foothills and beyond.